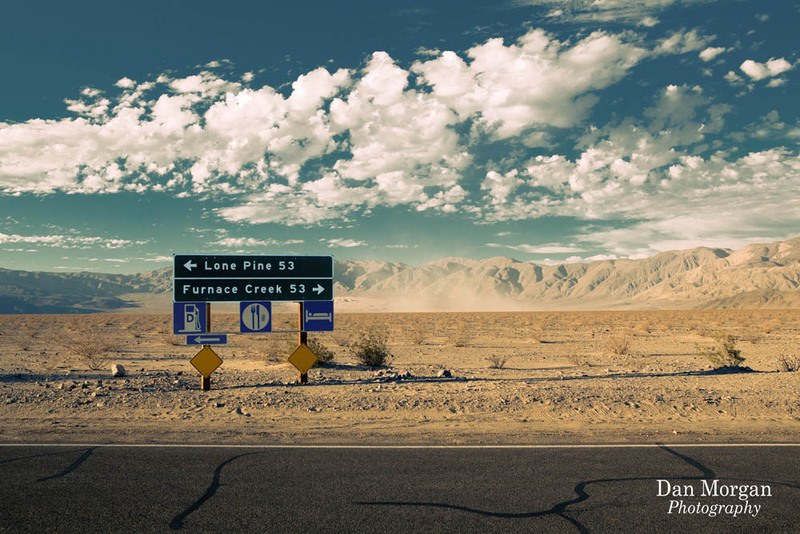 The next stage of our Roadtrip was the drive from Yosemite to Death Valley. This turned out to be one of the best days of our trip, with incredible landscapes for 10 hours straight. 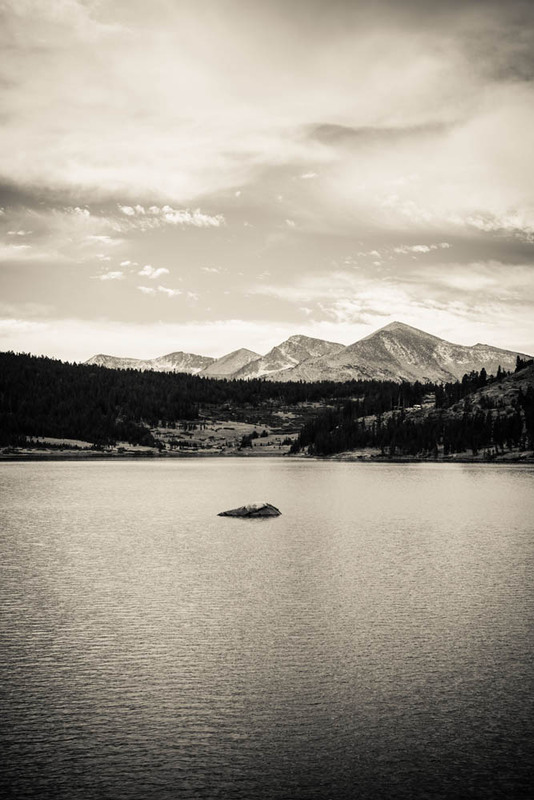 First up was Tioga Lake, which was on the Tioga Pass. 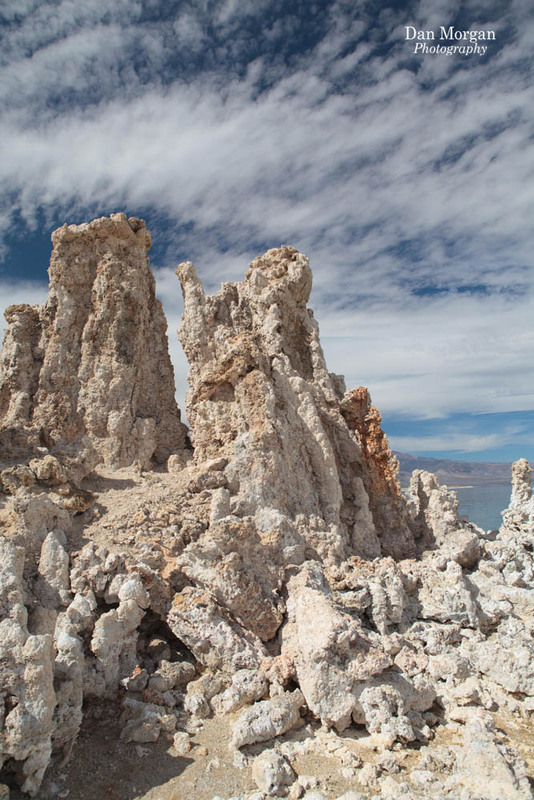 We had run into the “Double Rainbow Guy,” whilst in Yosemite West and he encouraged us to stop by Mono Lake to see the tufa and so we made sure to swing by. 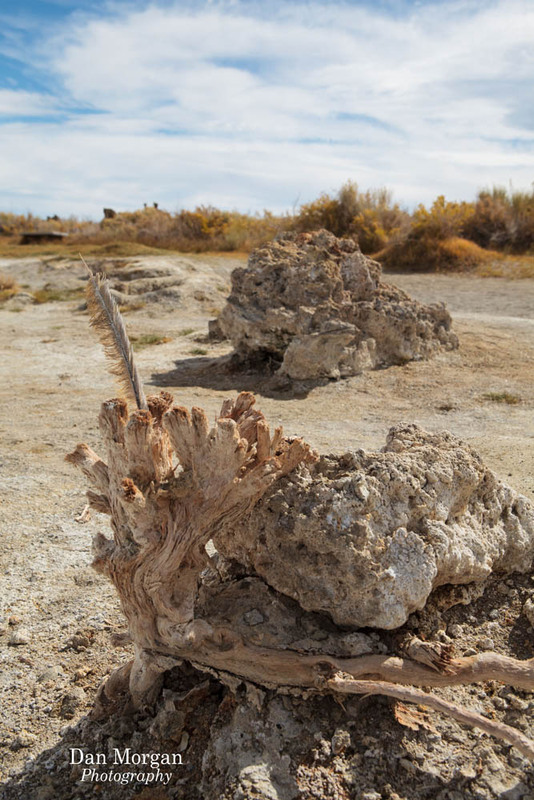 It was an incredible, alien, landscape with limestone formations created by volcanic gasses bubbling up from the lakebed and reacting with the high salinity, highly alkaline water. 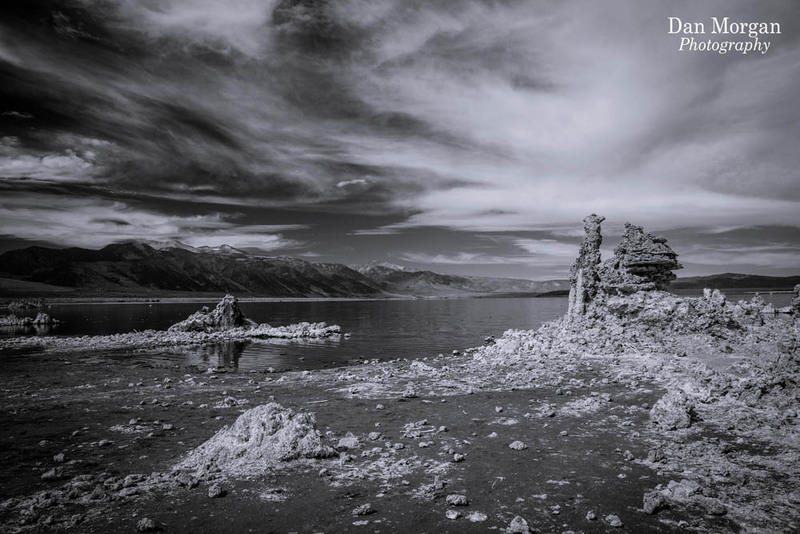 The alien feel of the landscape is enhanced in these photos not with any significant post processing but by using a polarising filter. This really bought out the intensity of the sky. The ecosystem is a relatively simple, but very fragile, one. Algae grow in the salty waters (which with a PH of 10 will not support fish) which is fed on by Alkali flies and brine shrimp. These then provide sustenance for migratory shorebirds. The sunsets here are supposed to be stunning, but we had barely started for the day! Heading south on Highway 395 we went past mountain after mountain, and it was easy to become fatigued by the view – it was just all stunning. We actually managed to miss Mount Whitney because of this – the highest mountain in the contiguous United States. 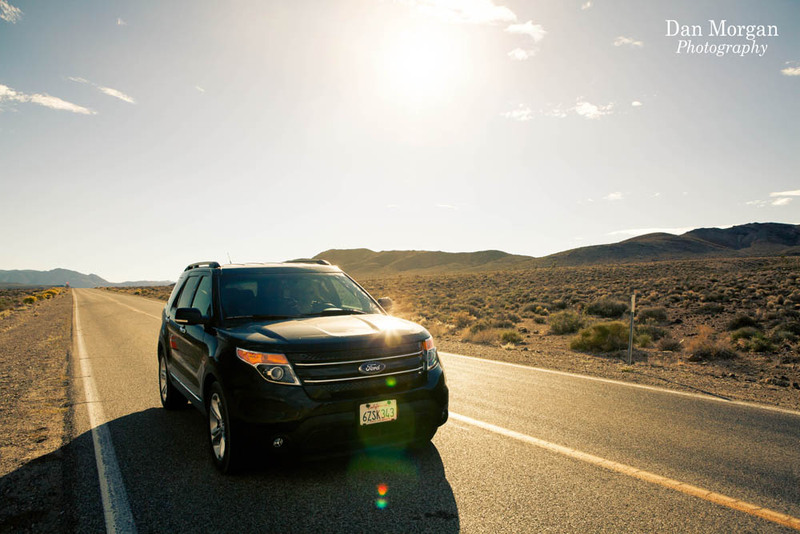 As we went over several more mountain ranges we reached Panamint Valley, where a traffic stop gave us the chance to take a picture of our trusty Ford Explorer! 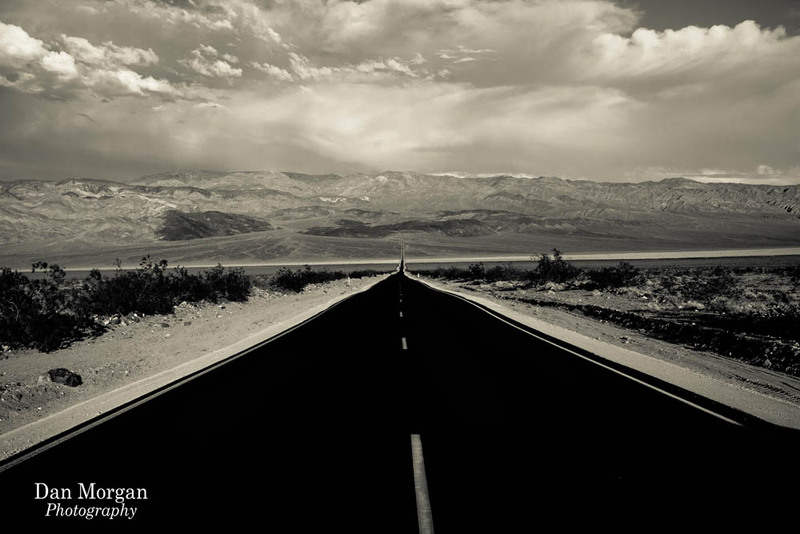 We reached a vantage point over Panamint Valley and were admiring the views when we heard what sounded like an explosion over our left shoulder. 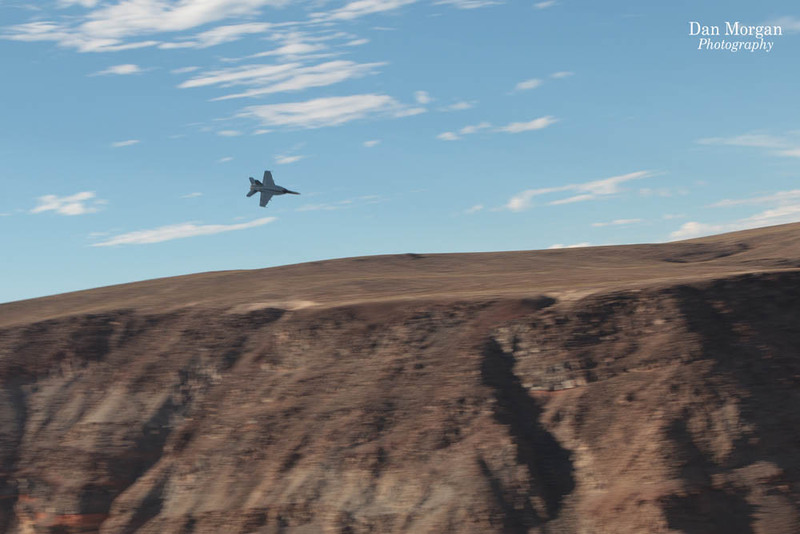 As we turned to face it, we watched an F/A-18 Hornet scream down a rift and then along the valley floor. Having my camera with completely the wrong lens and settings I didn’t manage to get any good photos, but I still have proof! 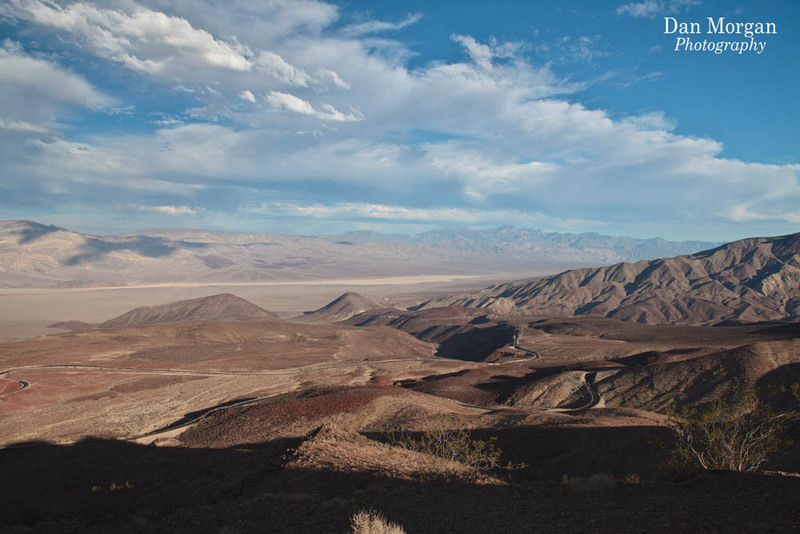 The view over Panamint Valley (we though this was Death Valley at the time). What followed was a series of arrow straight roads taking us over consecutive valleys, going from several thousand to zero feet. As we dipped below sea level, and with 50 miles to go, we started to outrun the sun, trying to beat the sunset as it was to be our only night in the valley and there was still plenty more to see. 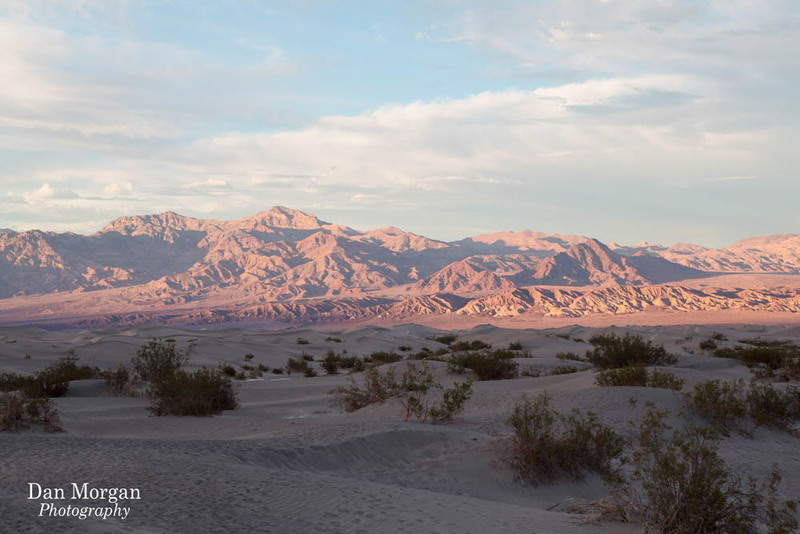 The sun was just starting to dip below the horizon when we arrived at Mesquite Flats Sand Dunes. 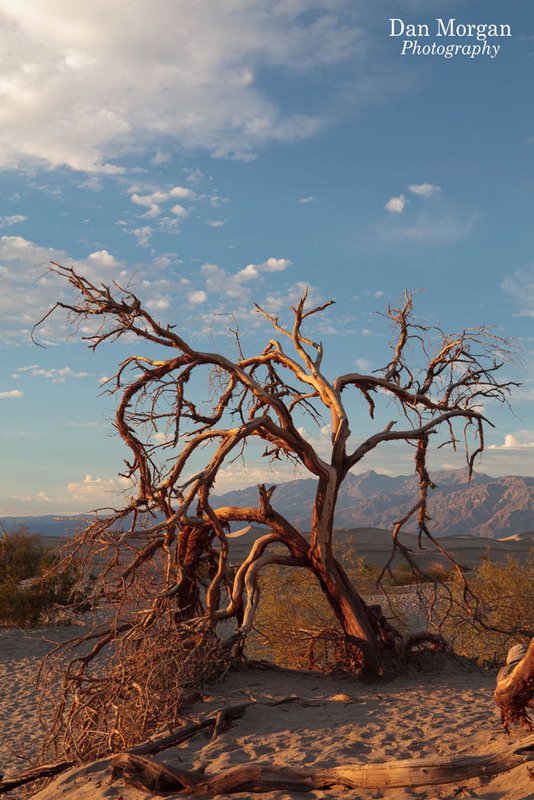 Although the sun had just set when we arrived 56m below sea level at Furnace Creek, it was still hot (though not near the 56.7 Celsius that has been recorded there) and the sky had become clear of any clouds. 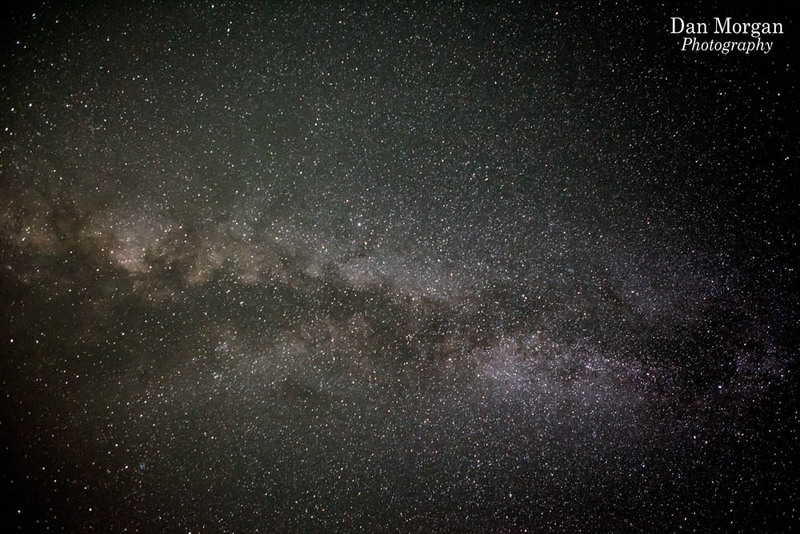 Taking advantage of this, and the fact that we were in an area with very little light pollution, I decided to take some photos of the night sky. 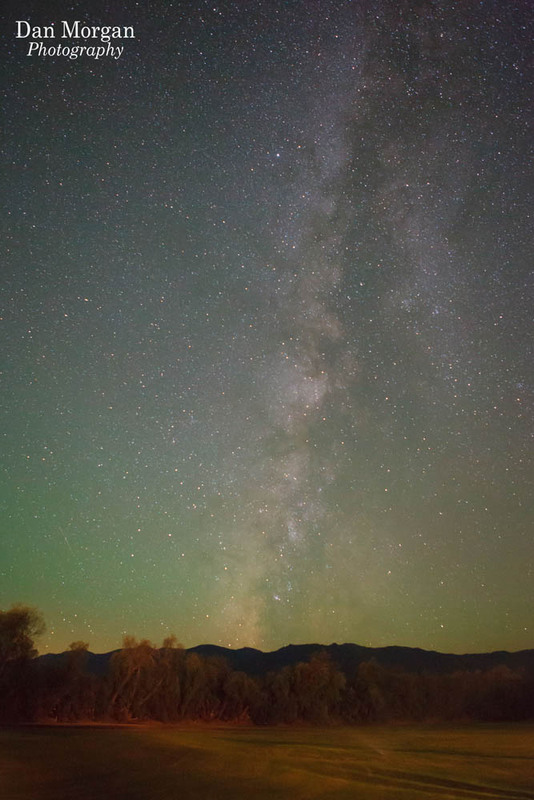 This first image was a 25s exposure at ISO 2500. 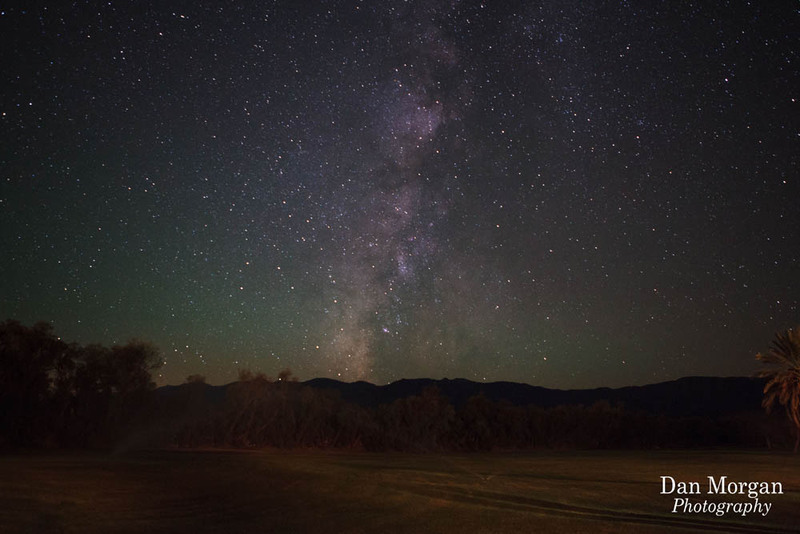 It produced an image with relatively well controlled noise and clearly shows up the Milky Way over the Furnace Creek golf course. Playing with various camera settings, I decided to just go all out, ISO 25,600 for 20s, just to see what would happen. The image is very noisy, but the sky looks so colourful! 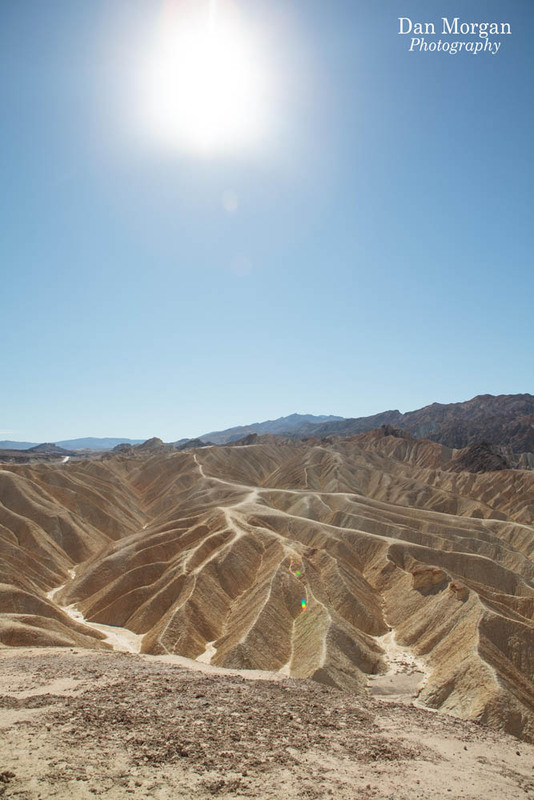 The next morning on our way out of Death Valley we were able to stop at Zabriskie Point, which was open despite the park being closed – all the other viewing points over the valley were shut. 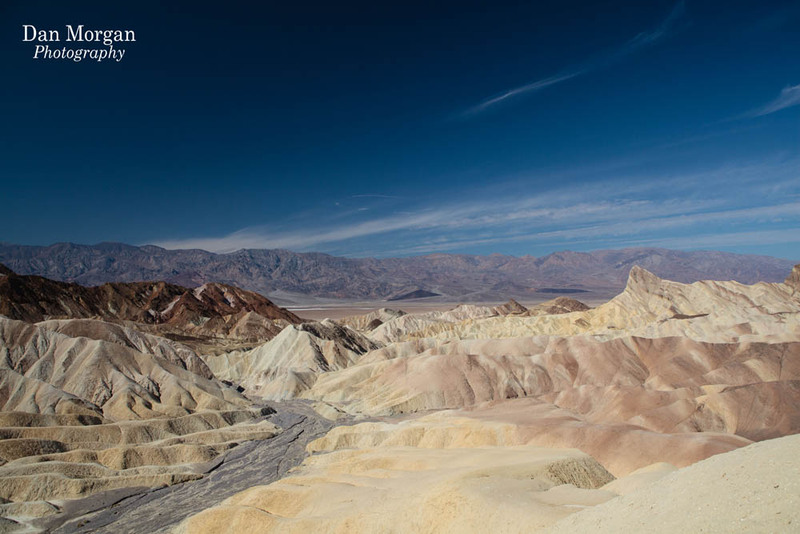 The viewpoint provided a stunning representation of the violent past of Death Valley. 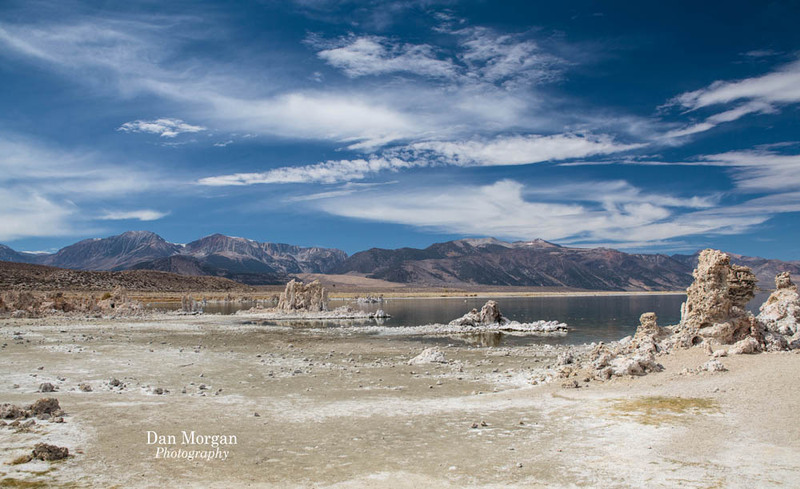 From being a the bottom of the sea, to having significant volcanic activity (an ancient lava flow can be seen in the bottom left of the next picture), lying on a fault, to being one of the hottest and driest places on Earth.